BRCS is a subsidiary of Kcorp, an Alaska Native Claims Settlement Act (ANCSA) village corporation, formed in 1981 by the merger of the Allakaket, Alatna, Huslia and Hughes village corporations. These villages are located in interior Alaska along the Koyukuk River, a major tributary of the Yukon River. Kcorp is the fifth largest Alaska Native village corporation. 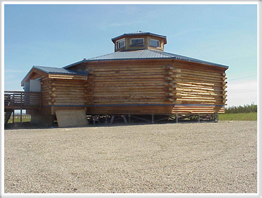 BRCS was formed in 1999 and began executing development projects in interior Alaska villages. Since then, we have become a significant player in the facilities maintenance arena and specialize in providing operations and maintenance services for the federal government. Our facility maintenance services cover all aspects of managing a large facility with emphasis on customer service, quality, energy efficiency, resource conservation, proactive maintenance and timely response. BRCS maintains over 18 million square feet of federal building space, including one of the largest GSA office buildings in the United States, Energy Star labeled buildings, historical buildings, high- rises, multiple-building complexes, and buildings with special security requirements.